Ever since I saw a drone video of the Kalanggaman island, I’ve been wanting to go there. So when Cebu Pacific had a Piso Fare Sale, I booked a flight to Cebu and see Kalanggaman. By the time we were going to Kalanggaman, I was ecstatic. Needless to say, I wasn’t disappointed. It was a surreal experience. From what I’ve read so far, there are two ways to go to Kalanggaman – via Cebu and via Leyte. So first things first, book a flight to Tacloban or Cebu. Upon arriving at the airport, ride a taxi going to the North Bus Station. From here you can either ride a Ceres Bus or a van to go to Maya port. At the Maya port, ride a boat going to Malapascua. At Malapascua, you can book a tour going to Kalanggaman. There are usually 3 trips per day going to the island. (see rates & fees below). 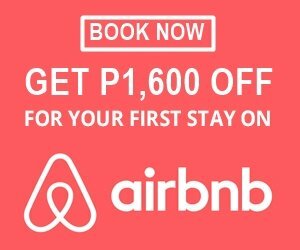 It’s best to coordinate with your resort or hotel in Malapascua so they can reserve a slot for you. You can also book a tour to Kalanggaman from Klook. Ride a van going to Palompon. Hire a boat going to Kalanggaman Island from the Tourism office. From Ormoc, ride a van going to Palompon, Leyte and rent a boat here going to Kalanggaman Island (see the rate above). After arriving in Cebu at 3:30 am, we went to Malapascua and booked a day trip to Kalanggaman. We rode a big boat. It was a joiners tour. Our group consisted of a lot of foreigners – Chinese, British, Dutch and so on. From afar, Kalanggaman Island looked pristine. The waters around it were crystal clear and turquoise blue. sandbar The one word to describe its beauty is ‘paradise’. The sand was white, too. Wow. We immediately put on our snorkeling gears after a few photos of the place and discovered the beauty of paradise underwater. There weren’t that much corals near the beach but there were tons of fishes! I saw some schools of fishes, too. After more than 2 hours of enjoying the place, we went back to the boat to eat lunch. There was watermelon, pancit, chicken, grilled pork, rice, and soda drinks. The serving looked small but it fed all of us buffet style. There’s a store on the island and a few people selling overpriced ice cream at P40 – P50 per piece. I was beyond excited to see the sandbar. By 1 pm, the waters started to recede to show the much-awaited sandbar. Too bad, my camera was acting up so I was only able to take some photos and no videos. Times like these make me want to have a drone, too. There were a lot of tourists then so it was hard to take a great photo. Bring some food and water before the trip to Kalanggaman especially when you’re always hungry. I know I am. I regret bringing a few snacks along. Our lunch was at 12:30 pm but I was starving at 11 am. Bring a few clothes with you especially when there are big waves. You’ll end up getting splashed with a lot of water on board. Better yet, use your swimming clothes. You can camp in Kalanggaman Island for P225. There are cottages around the island that you can rent for P500 per day. Bring your snorkeling gears, there are great snorkeling areas around the island. Did you like this article? Follow Wanderera on Facebook and Instagram for more travel updates.